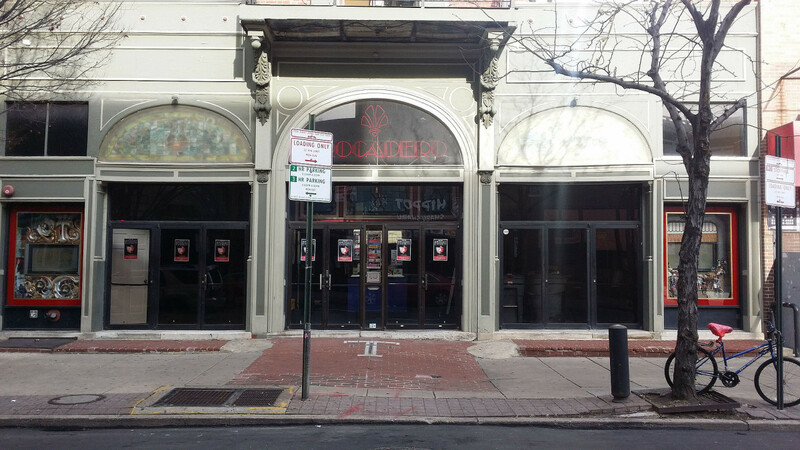 Joanna Pang, the owner of Philadelphia’s venerable Trocadero Theatre, confirmed Monday to Variety that the venue is closing in May. This comes after a stream of related reports from current staff, booking agents, and performers that began on Thursday, March 14. Pang is planning a finale series of concerts to celebrate the club’s history, then selling the property. “The Troc,” as locals call it, had both the underground bona fides of classic clubs like New York’s CBGB and a longer historical pedigree on par with Preservation Hall in New Orleans. Originally incorporated in 1870 as the Arch Street Opera House, the building got its best-known name in 1896 and came to prominence as a burlesque theater across the next seven decades. The building, located in Philadelphia’s Chinatown section, was added to the city’s Register of Historic Places in 1973 and to the nation’s in 1978. Stephen Pang purchased it in 1979 and operated it as a Chinese-themed cinema through the early 1980s, when it was renovated again to the 1,200-capacity music stage owned and managed to this day by his daughter. The early years of Trocadero bookings ranged from opera productions to monsters of classic rock (Neil Young) and heavy metal (King Diamond). As alternative rock blossomed in the 1990s, The Troc stayed committed to the hard sounds of metal, punk, and ska but also became a regular venue for first-generation indie acts (Sleater-Kinney, Superchunk), industrial music (KMFDM, Meat Beat Manifesto), and major-label darlings (Pearl Jam, Beck). It supported a long string of Philadelphia favorites from The Dead Milkmen to The Roots to Low Cut Connie, and was unafraid to book veterans like Tom Jones, Nancy Sinatra, and Bob Dylan. The Troc also hosted everything from gothic dance parties to outsized karaoke events to pro wrestling, and even revisited its history in recent years with movie nights and burlesque revivals. A selection of notable and notorious Trocadero dates likely starts with a quickly rising Guns ‘n’ Roses bringing the house down in 1987. A cover of Five Man Electrical Band’s “Signs” was recorded there to become Tesla’s staple AOR single in 1991. Rage Against the Machine played the Troc for free to make up for their silent protest during Lollapalooza 1993. The White Stripes played a 2002 Troc show with a crowd that, for whatever reason, so incensed Jack White that he hasn’t willingly played Philadelphia since. And video of a 2014 Trocadero performance by comedian Hannibal Burress sparked renewed interest in sexual abuse rumors involving Bill Cosby, eventually leading to Cosby’s arrest and prosecution. For your viewing pleasure and historical context, here’s a full 1995 Trocadero concert featuring Fugazi, from their Red Medicine tour. Retro-Futurism: Are cassettes still a thing?